Sporting News reports that the Buckeyes have turned themselves in, reporting 29 minor NCAA violations from February 1st to September 10th, six of which involved the football program. One of the violations involved an instagram photo with Braxton Miller, promoting his AdvoCare business, a nutritional supplement. The Buckeyes were quick to take action once they were made aware of the posting. One of the other self-reported violations involved quarterback Cardale Jones and his attendance at Browns cornerback Joe Haden’s celebrity softball game over the summer. On June 6, 2015, a football student‐athlete attended the Joe Haden Celebrity Charity Softball Game in Cleveland, Ohio. Prior to attending the celebrity game, the student‐athlete was told by the Compliance Office and football staff that he was neither permitted to attend nor play in the game. The student‐athlete told the Compliance Office and football staff that he would not attend the game. However, on the morning of the event, the student‐athlete called his position coach and asked if he could attend the celebrity game. The coach gave the student‐athlete permission to attend the game provided that he did not play. As such, the student‐athlete attended the celebrity game, appeared on the field, but did not play in the game. Because the institution did not provide written approval for the student‐athlete to appear at the Joe Haden Celebrity Charity Softball Game, a violation occurred. The violation didn’t effect Jones’ eligibility, but the compliance staff sent the team a “letter of education” to emphasize “rules regarding promotional activities” after it occurred. 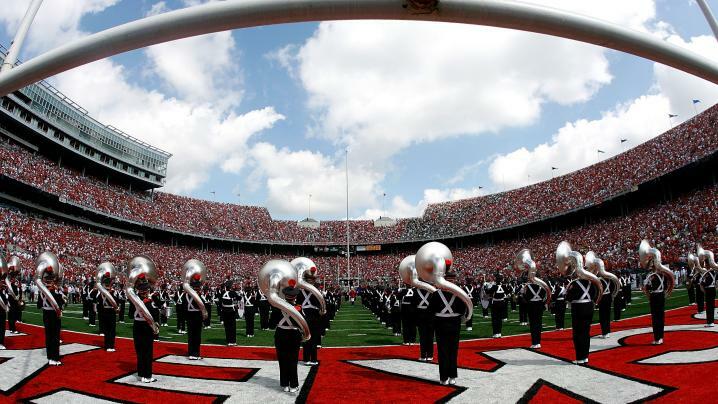 Ohio State is off this week and will be back in action on November 7th against Minnesota at the Horseshoe.